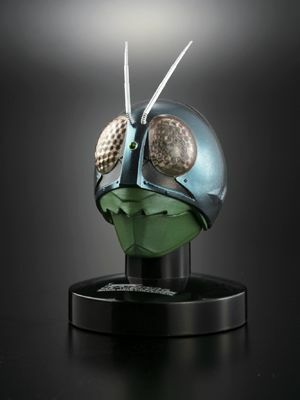 Since its debut in 1971 the Kamen Rider Television Series has grown to become one of the most successful television program ever! 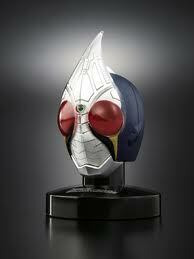 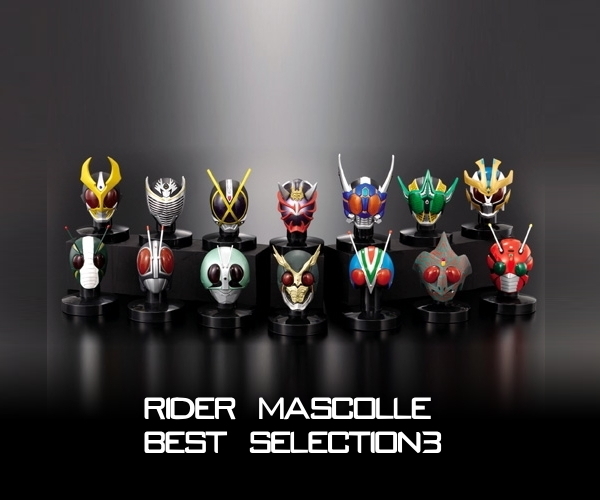 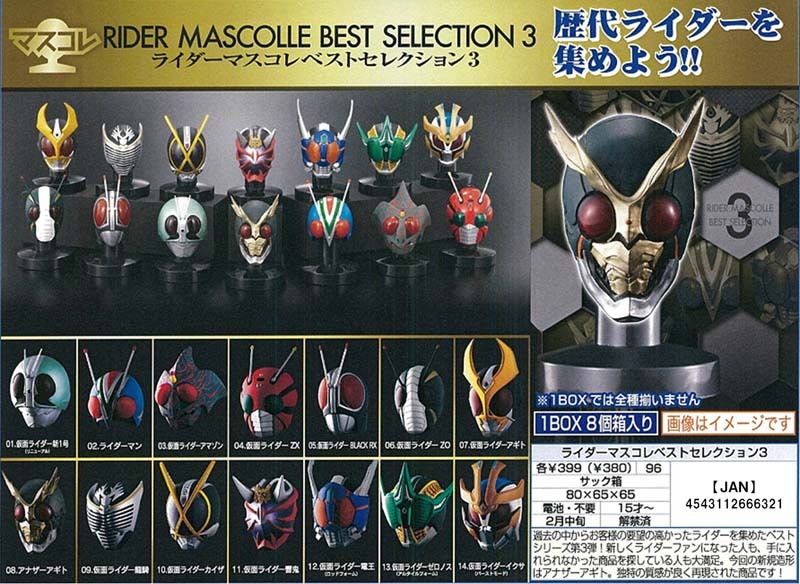 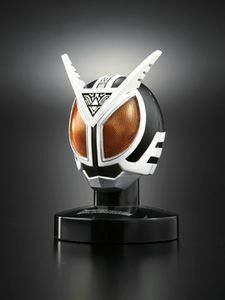 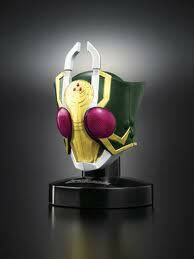 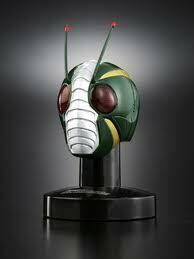 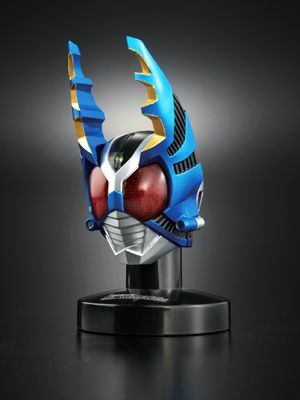 So popular in fact that Bandai is now on Volume 11 of their Kamen Rider Mask Series. 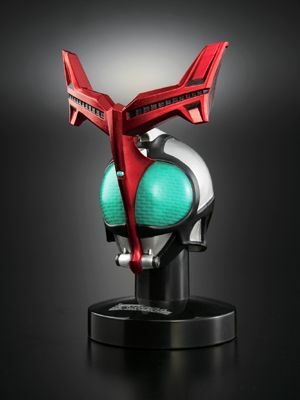 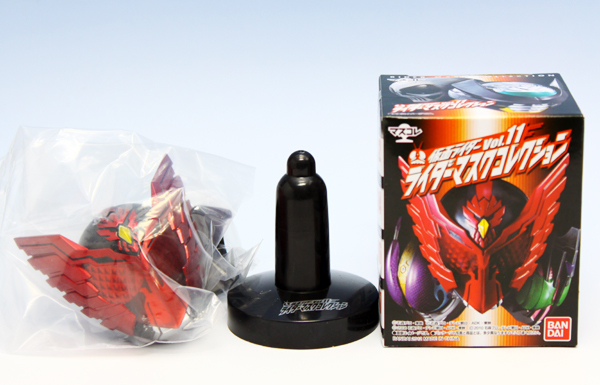 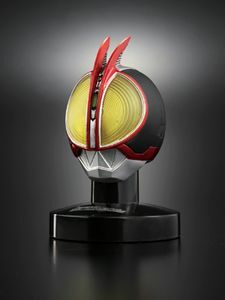 Each mask is precisely sculpted to 1/6 scale and beautifully hand-painted in vibrant colors for a finish that will make any Kamen Rider fan drool! 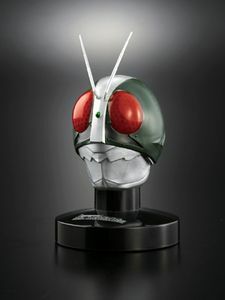 Are you feeling lucky?...some of blind boxes include a special light-up base that will illuminates the entire mask (see below) At just $5.95 retail you can't afford not to collect all 14! 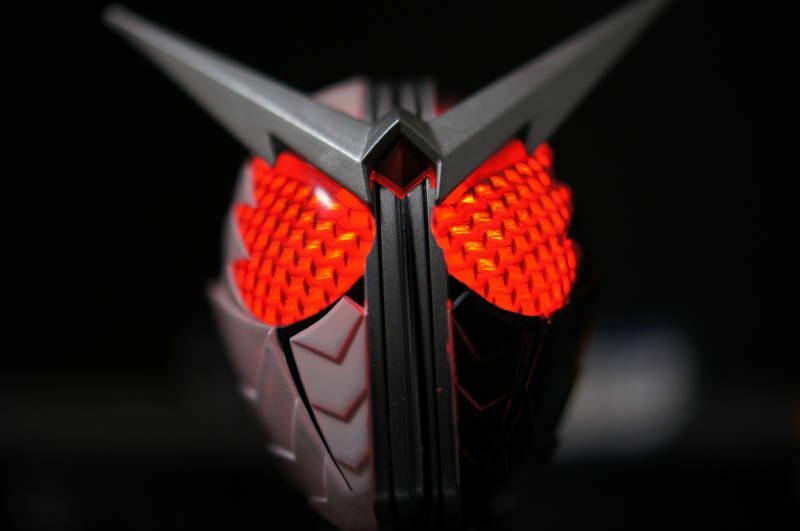 Feeling Lucky: some of the masks can Light Up!